Teradata backup presumes saving Teradata information to some other place, either to recover it when a need will emerge or to create a new copy of Teradata backup tables for cloning, replicating or clustering. Handy Backup allows automating any Teradata backup strategy, using the “Database” plug-in. All you need to backup a Teradata base is a version of Handy Backup containing the “Database” plug-in. 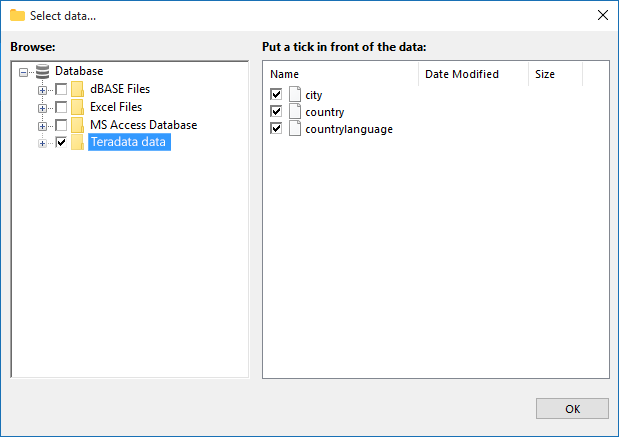 Another requirement is an ODBC driver (not included in Handy Backup), allowing using Teradata as the Windows data source. Note that the possibility of Teradata hot backup, e.g. of backing up Teradata tables without stopping processing the information by Teradata DBMS, is completely a matter of an ODBC driver. Handy Backup itself allows both “hot” and “cold” Teradata backup! 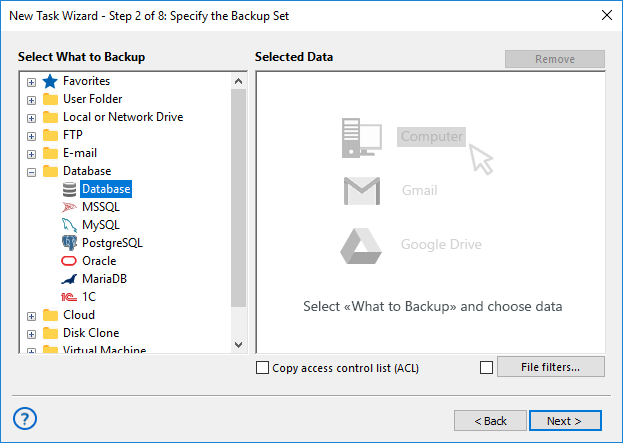 To help users realizing best practices for Teradata backup and restore, Handy Backup contains some crucial advantages over typical Teradata backup scripts and tools, allowing automating and controlling almost each step of backup process. Keeping different versions of the same backup, compressing and encrypting backup data. Where I Can Store My Teradata Backups with Handy Backup? Depending of your edition of Handy Backup, you can use many different storages for Teradata backup database. The table below presents the short list of the possible storages. Cloud services Amazon S3, Dropbox, Google Drive, OneDrive etc. Dedicated online storage HBDrive – a protected vault for your backups! 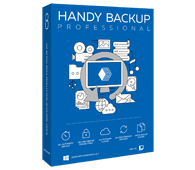 Handy Backup team constantly expands the list of storage plug-ins available for saving any data copies! The Professional edition contains a “Database” plug-in and a set of storage plug-ins allowing you realizing almost any strategy for automatic Teradata backup! Free 30-days trial version! How Handy Backup Works as a Teradata Backup Solution? To create a new task realizing and automating your Teradata backup strategy, please follow the next instruction, as well as corresponding sections or the User Manual. Open Handy Backup and create a new task using a button or a main menu item. Select a backup task on the Step 1, then go to Step 2 and double-click on the “Database” plug-in. Select the “Teradata” option from the list of the registered ODBC drivers by marking a checkbox. You can also check/uncheck boxes on the right panel for particular Teradata backup tables. 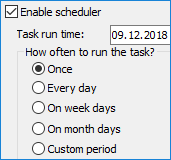 Then click the “OK” button and return to the task creation. Select a data storage on the Step 3. Now you may create your Teradata backup task as any other, according to the User Manual. Note: If you need a “cold” backup in automated mode, instruct Handy Backup to run a command stopping the Teradata DBMS before the task. Then set up to run a command restarting the server after the task will complete its job. You can do it on the Step 7. To create a recovery task for Teradata backup, you may create it as described for backup tasks, only selecting a restore task type on the Step 1 and a backup storage on the Step 2. Select the backup.hbi index file to restore your Teradata backup at its original location. Handy Backup is the perfect Teradata backup solution, allowing securing and replicating your Teradata projects. To get a personal experience with it, download just now a 30-days trial version with a full set of functions, which is completely free for you!